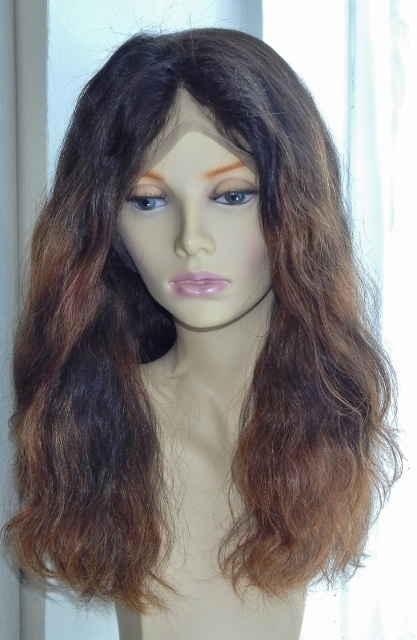 The Simmi Body Wave look is another stylish and chic wig. 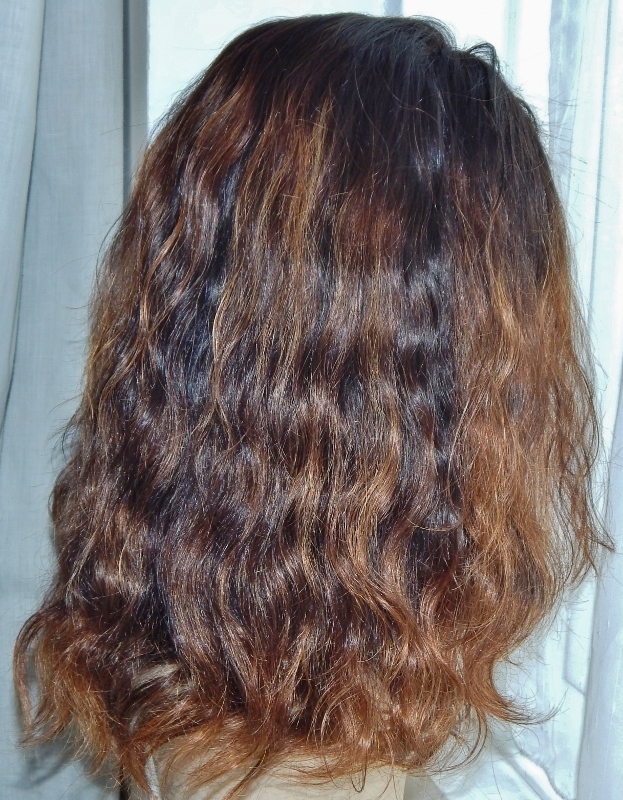 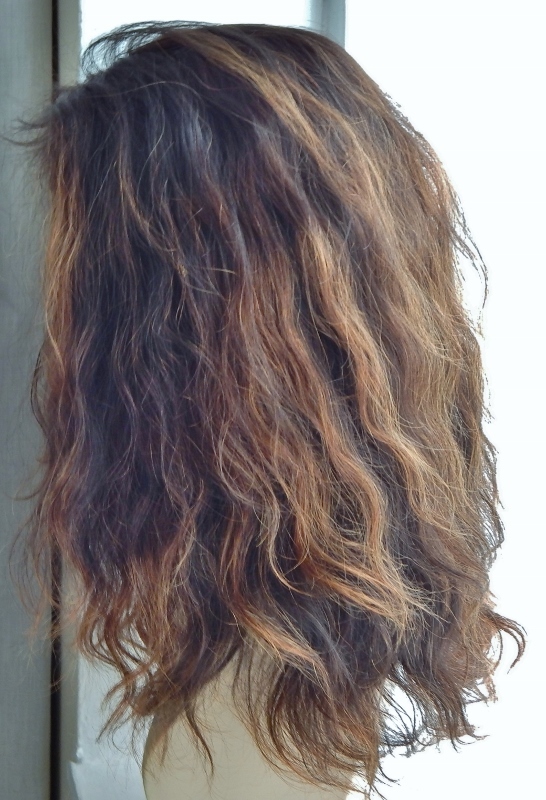 The wave texture is more pronounced if allowed to air dry as blow drying creates a more subtle body wave texture as seen in the first image on this page. 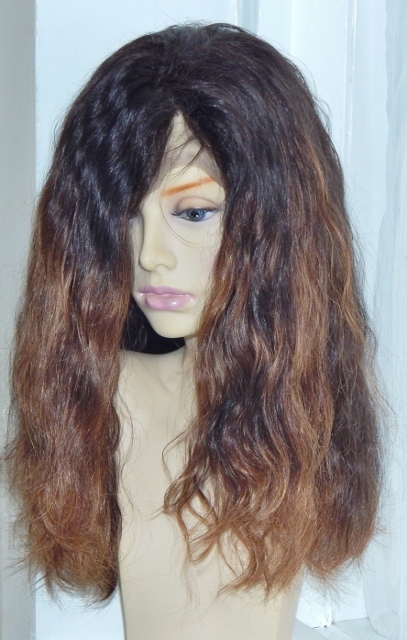 As it's made of Remy human hair, it can be heat styled to be silky straight - just wash for the waves to return. 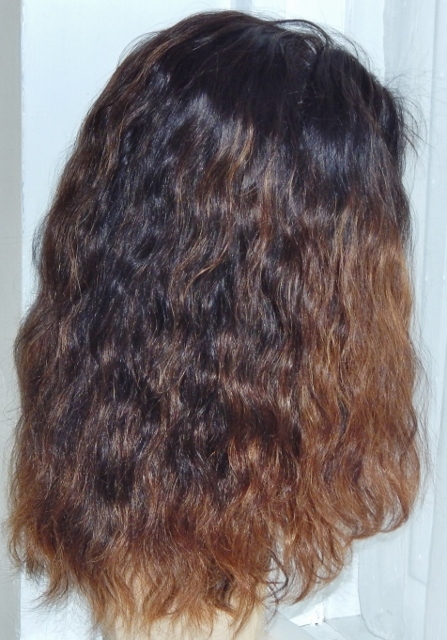 A custom item which deliberately aimed for sun-kissed highlights - this image was taken without use of flash. 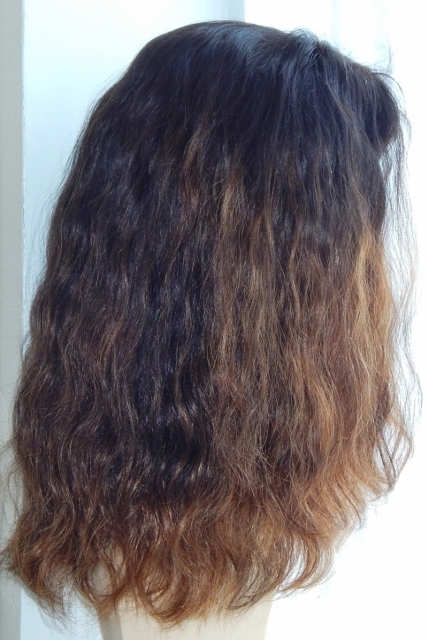 A custom item which deliberately aimed for sun-kissed highlights - this image was taken with flash to better show the depth of colours.